As you age, your eyes may wrinkle or sag due to the natural aging process. You may feel distressed at these unwanted changes. You may have tried creams and other products to reverse this effect, but they have yet to yield any change. If you suffer from unattractive or sagging eyelids and wrinkles, but do not want to undergo extensive surgical procedures, there are many non surgical methods that may help to treat eye conditions. Dr. Victor Sagoo offers many different kinds of eye treatments in Solihull that are effective and non-invasive. Laser skin tightening is a non surgical option that uses a laser to retighten the skin around the eyes. This laser heats the cells, which may cause them to tighten and decrease the appearance of wrinkles. The results often begin to show immediately after the treatment. Under the guidance of a skilled doctor such as Dr. Sagoo, it is a safe and effective method. Carboxytherapy, another non-surgical treatment, uses subcutaneous injections of carbon dioxide into the skin tissue. This may increase the blood flow and collagen growth in the area so that the skin appears younger. Dr. Sagoo performs this procedure with careful precision so that you do not feel any discomfort. Dr. Sagoo offers different kinds of facial fillers that can restore the skin around the eyes and may decrease wrinkles and crow’s feet. He will administer a few small injections of either collagen or hyaluronic acid to fill in wrinkles or folds. By replacing the lost skin volume, your face may appear younger and more beautiful. These injections are safe and medically approved. 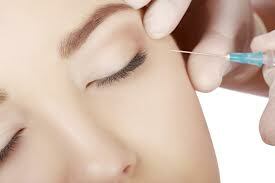 With his careful work, you will feel no discomfort during the procedure. Dr. Sagoo can also provide a chemical peel that can also promote growth of new skin. During a chemical peel, he will administer a solution to your skin around your eyes that may promote new growth. After a brief period of time, he will remove the peel and allow you to continue with your life. This is an outpatient procedure so you do not have to spend long periods of time in treatment. All of these options are very effective and safe. In order to begin treatment, Dr. Sagoo will consult with you and determine your treatment goals and appearance. He will recommend which option is the best choice for your case. If you wish to learn more about your non surgical options, call Dr. Sagoo’s office today at 0845 603 6150 or visit the site to learn about more choices.